Nations Press feature health news No Cigarette Sale and use every 15th of the Month-Find out why? No Cigarette Sale and use every 15th of the Month-Find out why? SPONSORED LINKS On Thursday, June 30, Cebu City second district Rep. Rodrigo Abellanosa filed a bill that will prohibit the use and sale of cigarettes every 15th day of the month. House Bill No. 401, also called the ‘Cigarettes Holiday Bill’, will also provide penalties to those who will defy it. “The legislation is not a rehash or a refile of any previous bill, and it reinforces one of the thrusts of the administration of newly-sworn in President Rodrigo Duterte, which is to curb smoking,” Abellanosa said. In addition to his proposal, Abellanosa stated that 200 Filipinos die daily due to tobacco-related diseases, or a rough estimate of 71,850 a year. Over 500,000 Filipino children and approximately 15.6 million adults are tobacco users despite the harmful effects it poses. 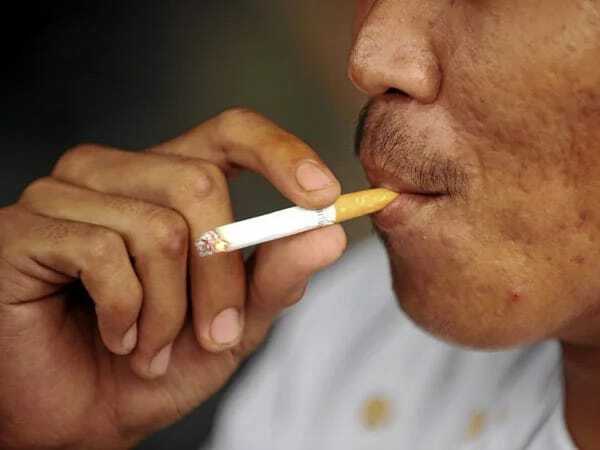 For smokers who would be caught smoking during the 15th, a 5,000 fine will be their first offense, P25,000 will be for the second offense, and a one-day to 30 days imprisonment and P50,000 fine for the subsequent offenses. For those who would be caught selling cigarettes, a P10,000 fine will be for the first offense, a one-day to 30 days imprisonment and P50,000 fine will be for the second offense and a one-month imprisonment to six months and a P100,000 fine for the subsequent offenses.